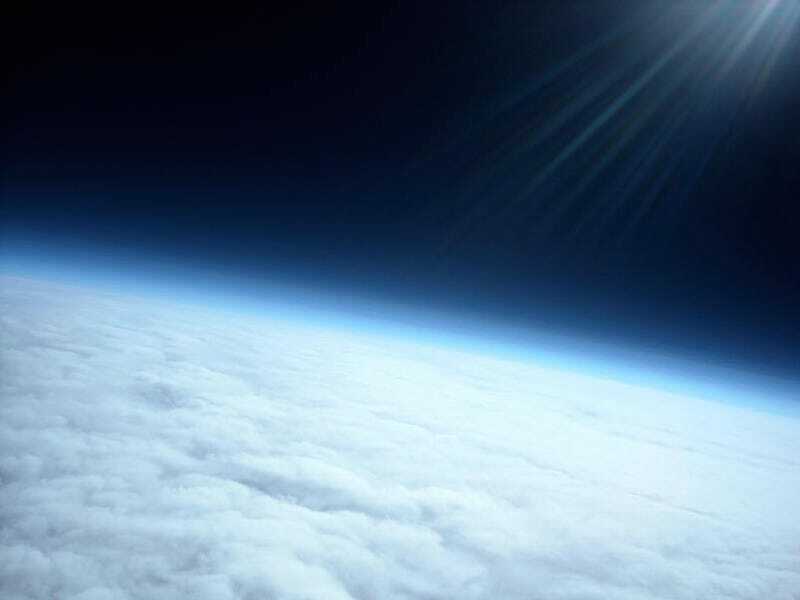 Using a $77 Nikon Coolpix and a $60 latex balloon filled with helium, a team of teenage students captured these remarkable shots from 20 miles above the Earth's surface. Radio-synced to Google Earth, the team tracked the package as it soared 885 feet per minute into the sky, taking shots on a periodic timer. The balloon eventually failed around 100,000 before the system parachuted to the ground. The students were able to recover the package that landed about 6 miles from the launch site., but it was only after they tentatively extracted the SD card sitting safely inside that they discovered the fantastic fruits of their labor.